The HTC Vive provides a fully immersive first person experience supported by SteamVR Tracking. 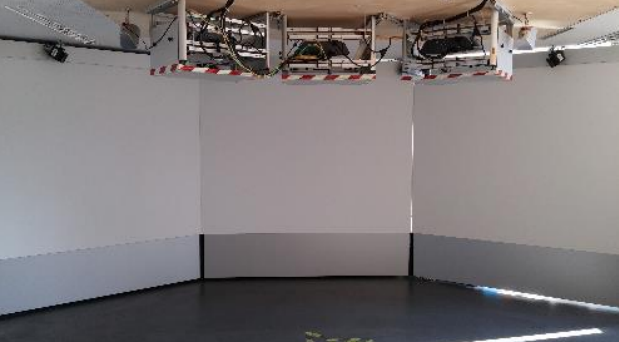 The SteamVR Tracking allows for an individual setup, you can either set up a room-scale play area (5m x 5m) or configure SteamVR to use the HTC Vive in seated or standing mode, without having to move around. Precise, 360-degree controller and headset tracking allow for an immersive experience. Realistic Graphics, Directional Audio and haptic feedback are important features of the HTC Vive. Each of the HTC Vives individual screen uses a resolution of 1080 x 1200 pixels for a combined resolution of 2160 x 1200 pixels. 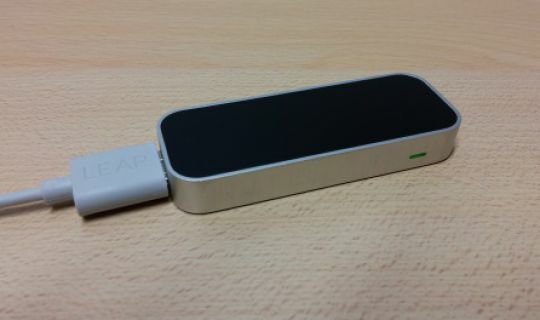 The Leap Motion tracks your hands movements within a cone above the device. Three infrared sensors create the cone, up to four hands can be tracked simultaneously. 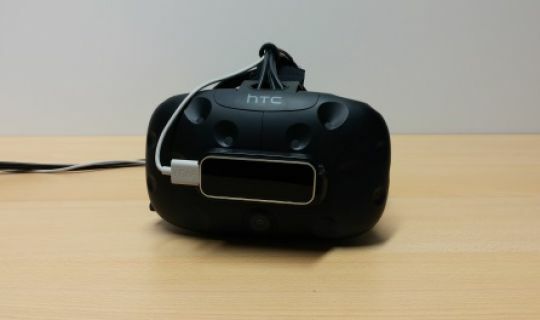 The device is connected via USB and can be used in Combination with the HTC Vive. This combination of two different devices works like a charm. With the Leap Motion attached to the HTC Vive, there is no more need for Controllers, you can use your Hands instead. This allows for very intuitive Showcases, some of which can be tested within the Laboratory. The Threewallprojection is a combination of three single frame pictures into one huge composed picture. This is made possible due to the settings within „NVIDIA Mosaic Mode“ and by using NVIDIA 3D Vision shutterglasses. 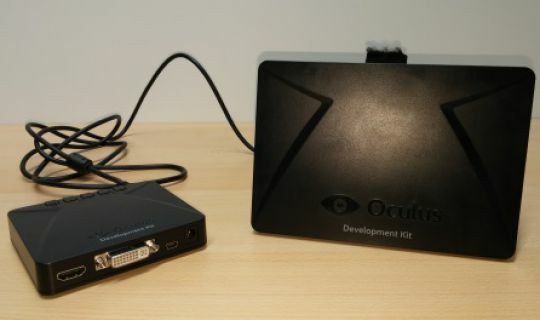 The Oculus Rift comes from the first generation of VR Devices, within the Laboratory we are still using Oculs Rift Development Kit 1. Similar to the HTC Vive the Oculus Rift enables immersive Virtual Reality Experiences.Due to being a first generation model, there is only one showcase available for the Oculus Rift within our environment. 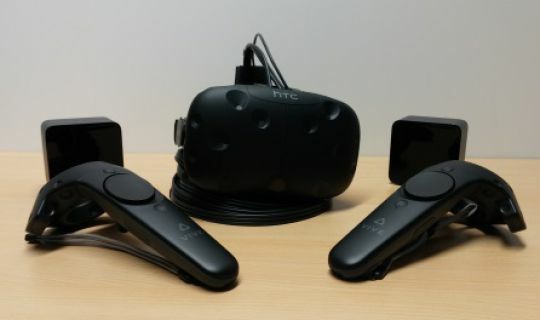 One of the positive effects of using the first generation model, you can truely see the evolution of VR devices by comparing the Oculus Rift with it´s competitor HTC Vive. Screen Resolutions and wearing comfort differ hugely.